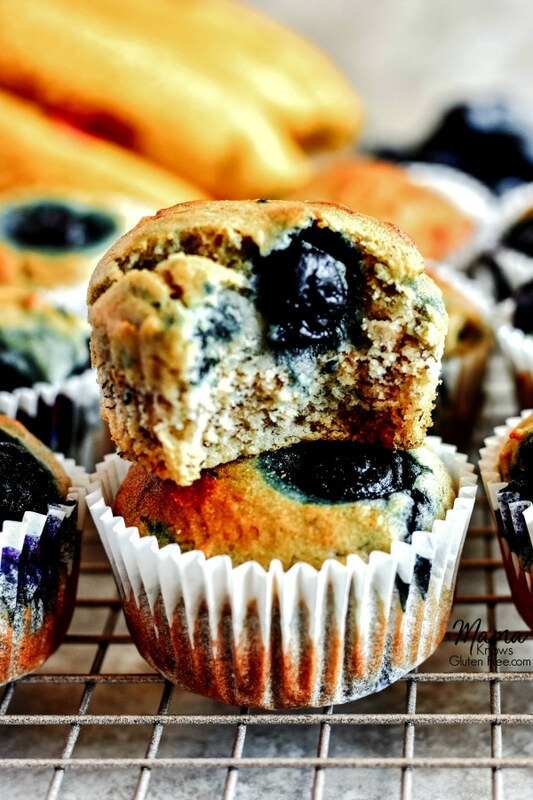 The only gluten-free blueberry banana muffin recipe you’ll ever need; a one bowl wonder! 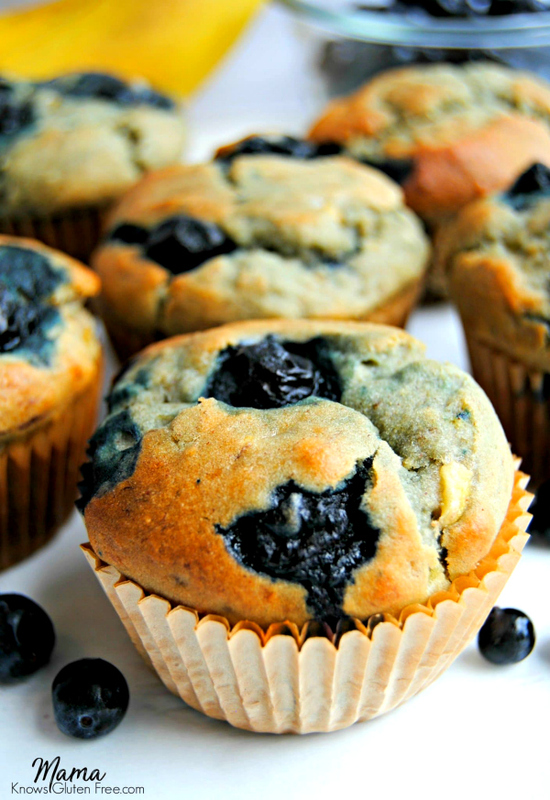 No mixer required for these super moist blueberry banana muffins. Dairy-free and no refined sugar option. We eat a lot of bananas in my home, but there is always a few that get a little too ripe for my kid’s liking. So what’s a mama to do? I make gluten-free banana blueberry muffins! A one bowl wonder that is super easy, you don’t even need a mixer. 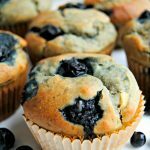 You can quickly whip up these super moist gluten-free blueberry banana muffins with just a fork and a spoon. I have also included a dairy-free option to my gluten-free blueberry banana muffin recipe. My husband, my youngest son, and I are all dairy-free. I promise it is just as delicious made with the coconut oil or dairy-free butter. Some of my favorite dairy-free alternatives that I like to bake with is almond, cashew or coconut milk. I also like baking with coconut oil or Earth Balance or Smart Balance butter. So, you too can enjoy a gluten-free and dairy-free blueberry banana muffin. I also like to bake with no refined sugar as well. My favorite refined sugar-free options to bake with is either pure maple syrup or honey. I was so honored to be chosen as one the finalist for the Fyffes NA recipe contest.I’m super excited that my recipe for Gluten-Free Blueberry Banana Muffins was featured in one of their videos! If you a big banana fan check out my gluten-free dessert and gluten-free breakfast recipes. 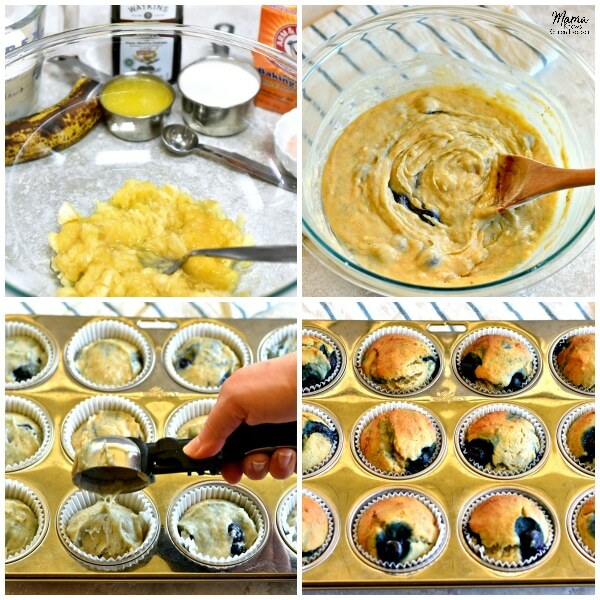 The only gluten-free blueberry banana muffin recipe you’ll ever need; a one bowl wonder! 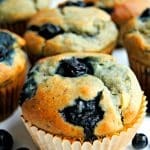 No mixer required for these super moist banana blueberry muffins. Dairy-free and no refined sugar option. Use baking cup liners or cooking spray for the muffin tin. Add the baking soda and stir to combine with the mashed bananas. Allow the mixture to sit for 1 to 2 minutes. Stir the melted butter (or melted coconut oil for dairy-free) into the mashed bananas. Stir in the sugar (or pure maple syrup), salt, beaten eggs, and pure vanilla extract. Mix in the gluten-free flour, cinnamon and xanthan gum (leave out the xanthan gum if your flour already has it). Bake for 15-20 minutes at 350 ° F, or until a tester inserted into the center comes out clean. Please watch your oven because all ovens are different. Allowing the mashed bananas and baking soda to sit for at least 2 minutes before adding it to the rest of your ingredients is key to what makes these gluten-free cookies so light and fluffy. For dairy-free: use coconut oil or Smart Balance butter. Always bake with ingredients that are at room temperature. I always use an ice cream scoop. It makes it nice and easy to get the perfect amount in the baking pan. I also like to use cupcake liners to keep the muffins from sticking to the pan. The best muffins I’ve ever had even before going gluten free. I’m honestly not even a fan of blueberry and I was shocked how much I loved them. My friends, husband, and even my picky toddler loved them! Will definitely be making these again in the future. Thanks for sharing! 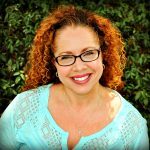 Thank you so much Jessica for the wonderful 5-star recipe review! I am so happy that everyone loved the muffins. I totally understand about having a picky toddler and I have a picky eater too. These are one of my family’s favorites muffins. You are so welcome, I love sharing what I make for my family. Thanks again! Hi, I’m egg free- would flax eggs work ok with this? Or is there another suitable egg sub? Hi Jennifer! I have never tried flax eggs with this recipe. I have only test baked with Bob’s Red Mill egg replacer. If you try it with the flax eggs will you please let me know how it turns out? I am so happy that you and your family loved the muffins! I hope your daughter’s friends enjoy them too. Thank you so much Stephanie for the wonderful recipe review.